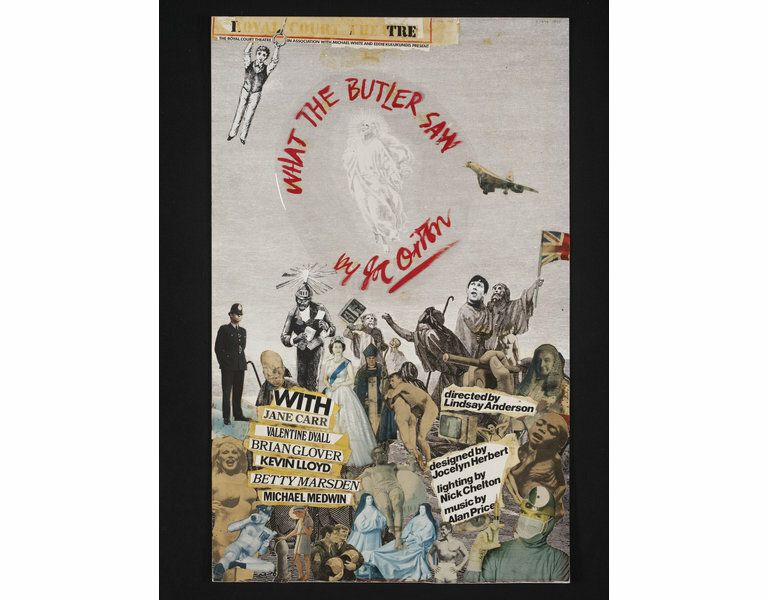 This is the original poster design for the 1975 revival of What the Butler Saw at the Royal Court Theatre, London. 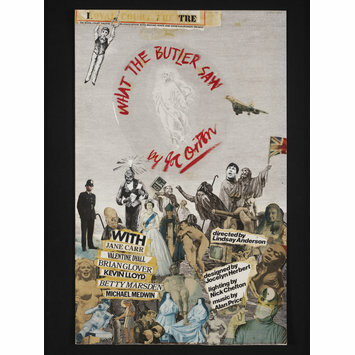 The play is a farce set in a psychiatric clinic, which is reflected in the irreverence of the poster itself, a photo-collage designed by director Lindsay Anderson. This was a reference to Orton's own interest in collage; Orton and his partner Kenneth Halliwell served six months in prison after they spent a period in 1962 for defacing library books stolen from Islington libraries to make collages. 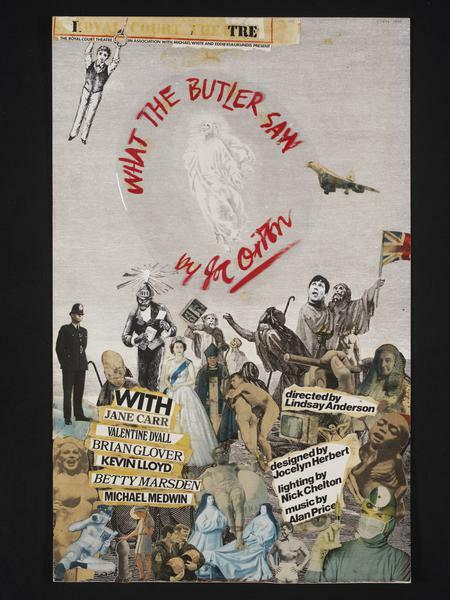 What the Butler Saw was Joe Orton's last play, and was not produced in the West End until 1969 at the Queen's Theatre, two years after Joe Orton was murdered by Kenneth Halliwell. The original production had a star cast including Ralph Richardson, Stanley Baxter and Coral Browne, but the play was not well received by the critics who dismissed it as filth. The play's reputation was not restored until this 1975 revival at the Royal Court, directed by Lindsay Anderson.